Hello friends, and welcome new readers! I was asked to participate in a Run Where I Live Series by fellow BibRave Pro Danielle (Live, Run, Grow) link-up. It's a series from a few bloggers across the US (and even one from Australia!) that give helpful tips on where to run if you ever visit our cities. You can check out all of the other cities we're running in here. A little bit about myself, in case you are a new reader: I live in Chicagoland with my husband and two dogs. I graphic design by day, and run and enjoy drinking craft beer and wine by night. I've been running for about 5 years now. I love doing races, though I'm not very fast. I prefer to use the run-walk method that Jeff Galloway suggests – I find it helps with my asthma, and has generally been keeping injuries at bay. I've done quite a bit of half marathons (I think it's my favorite distance at the moment), and haven't really kept track, but I'd say it's at least 20. I completed my first marathon in January as part of the Dopey Challenge. It was a wonderful experience, and it changed my mind about the marathon distance (which I said I've never do). 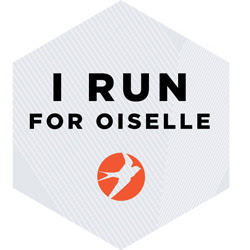 I am currently training for my second marathon in October (Chicago Marathon) and am very excited about running in my hometown. Last year I joined the BibRave Pro ambassador program, and through that have become friends with some awesome runners. 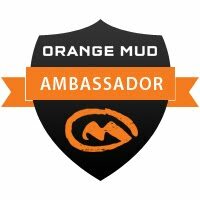 It's helped to bring me out of my shell, plus gives me some great opportunities to run awesome races and try/test fun products. Anyway — I think that's a long enough introduction, and I hope I haven't lost you! If you're interested in reading more, you can go here or here. Danielle's idea for the blog hop came from a BibChat (every Tuesday at 8pm CT) a few weeks ago where we were discussing safety while running and traveling. A lot of people voiced concern about being nervous when in a new city and not knowing where a safe trail or running route may be. So, we have some great routes to run from people that live in Cape Cod, Conneticut, New York, Philly, Coconut Creek (FL), Orlando, Chicago, Milwaukee, OKC, Northern California, and Australia! 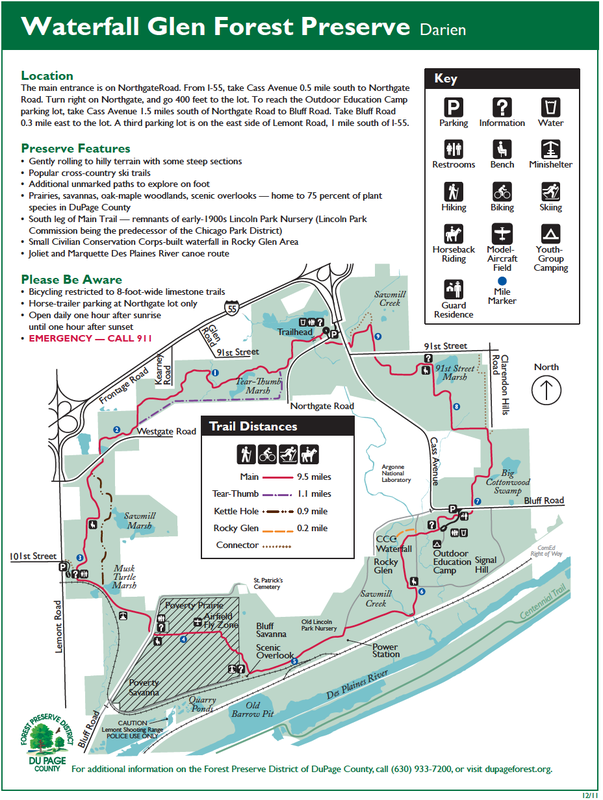 There are some pretty obvious places to run if you are visiting Chicago and are staying in the city. The main one that you should run is the Lake Front Path. It's miles and miles (18.5, to be exact) of pavement for runners and cyclists to run with Lake Michigan to the east. You have the opportunity to run past museums (Art Institute, Shedd Aquarium, Field Museum), McCormick Place, Navy Pier, countless beaches and harbors, AND have a beautiful skyline to appreciate. It can get pretty congested on a nice day, so be aware of your surroundings when weaving – you are sharing the path with cyclists who not always signal their presence. Generally, you'll see lots of friendly faces out there who will smile, wave, or give the head nod of acknowledgment. I'd also suggest running through Grant Park and Millenium Park — they both have some fun sculptures, fountains, artwork, etc that can keep your mind occupied. If you're like me, you like to look around and check out all of your surroundings during your run — takes my mind off of actually running and possible being hot, tired, and sore haha. Another awesome thing to check out is November Project Chicago, if you are in town on a Wednesday at 6:28am at the Kwanusila Totem Pole in Lakeview or Fridays at 6am at Cloud Gate (aka the Bean). I hear nothing but great things about this workout group, though I unfortunately haven't had the opportunity to check out for myself yet. You can learn more on their Facebook page or the website. 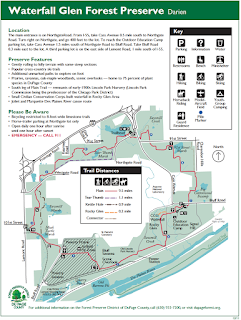 Now, if you want to take a little bit of a drive away from the city into the suburbs and onto a trail system, I would suggest either Waterfall Glen, the Palos Trail System, or Swallow Cliff. They are about a 45 or so minute drive from the city (as everything in Chicago, it can depend on how traffic is). The Palos and Sag Valley Trail Systems are adjacent forest preserve parks that offer more than 30 miles of dirt trails through thick forests, deep ravines, past wetland lakes and marshes, and across wide-open meadows. 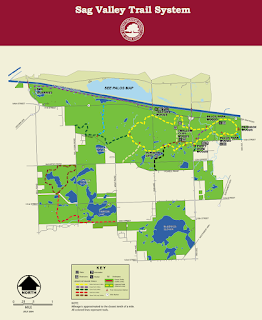 Some favorite routes are the hilly 12-mile Maple Lake loop and the 6-mile Swallow Cliff Woods loops. Another favorite workout includes going to Swallow Cliff Woods North, where there is 125 limestone steps that lead to the top of a former toboggan run. The run is no longer open, but people love to go to the stairs for a great workout (the stairs is the nickname for local folk). I generally don't do the stairs more than going up to get to the trail and then down to get back to my car, but that's just my hatred for stairs haha. 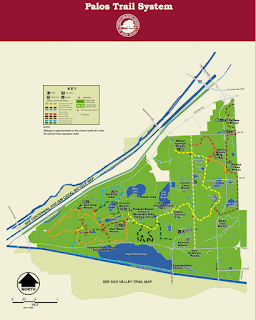 Another great place to run trails is at Waterfall Glen. 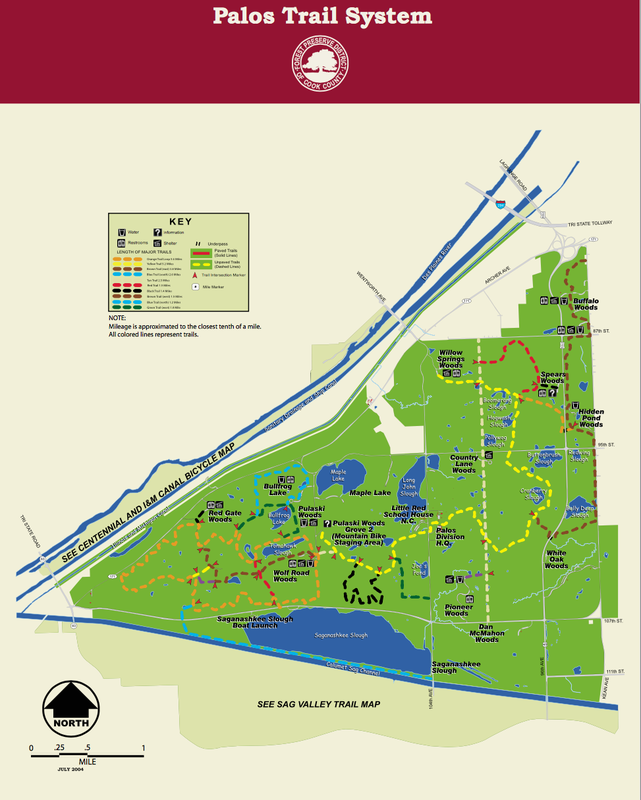 It's about a 9.5 mile loop with some tough hills (Big Bertha! ), but some great scenery. The preserve features glacier-carved rock ridges, ravins and wetland potholes, which aren't found anywhere else in the country. The trail is limestone, which accommodates runners, cyclists, hikers, and equestrians and are well groomed in the winter for skiing. I really like this trail, because it's impossible to get lost on! You pretty much just follow the trail around and it leads you back where you started. However, they did just add another section to the trail, so I suppose it is possible to get lost now. I haven't had any issues, since I'm used to running it and no where to go. As always, I suggest brining your map with you and knowing which direction you want to go before heading out there. You never know when your cell phone service might decide to go out, or your phone battery inconveniently dies.. Just a helpful tip from me to you. It also has bathrooms at the parking lots (though no running water, just a heads up!) and some port-potties near the fields where people fly airplanes. If you are in Chicago, I would definitely check out if there are any races during the week/end you are in town. We have a lot of great races to choose from and they all have some cool aspects. Some give you the chance to run around the streets of downtown Chicago, such as the Magnificent Mile Half Marathon and Shamrock Shuffle 8k, while others take you on the south end of the city near the Museum of Science and Industry – most of it while running ON Lake Shore Drive, which can be a cool experience. Some race series include Hot Chocolate and Rock N Roll, which are both quite fun as well. A few weekday themed races include Terrapin 5k (though this year is the final year), Rock the Night 5k, Bastille Day 5k, and loads more. Basically, you can find a race pretty much anytime you are here! It's fantastic! BibRave.com can be a great source to find races that are rated high in the everyday runners eyes. Is it worth the money? Find out. I'd also ask other runners if they have any favorite races to do in that particular city – I'm sure they'd all be happy to share (we are!). I hope you found this post helpful and entertaining! I love running in the Chicago region – it never gets dull since there are so many options. Plus, every place looks different depending on the season! I love Fall and Winter the best, though I know a lot of people disagree. I find it to be the most beautiful in the forest preserves those two seasons. You can join in on the fun and write your own post for where you live! Either add the link in the comments section, or send it to Danielle and she can add it here. Now, continue on the road trip over to Tom, another Chicagoan, who I can tell you has a very thorough posting! You are sure to enjoy it! Great post! I wrote about running on the Lakefront path a few weeks ago, when I had the opportunity to park cheaply downtown after a conference. It was a great day, and I had 8 beautiful miles to enjoy. I would love to be able to run through/by a zoo! haha - it'd be pretty sweet, right? Thanks! Great post! I hope to see you out on the trails sometime... then we can go grab a beer afterwards! So many Chicago running options! Thanks for sharing! Thanks for reading :) Hope you have the opportunity to choose a few if you're in town! 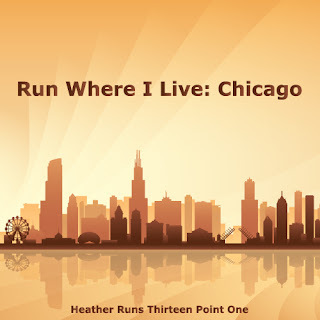 I would love to come visit Chicago one day, it seems like there are a lot of great places to run and some really great races! Thanks so much for joining the road trip, I'm off to visit Tom now! Chicago would love to have you. Is the Chicago Marathon on your bucket list, by chance? Thanks for hosting/planning the whole thing!